Sun hat? Check! O-ball football? Check! My dad and personal lifeguard? Double check! 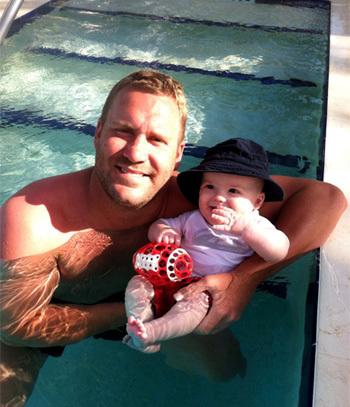 Loved my first experience in a pool during our trip to the Breakers in West Palm Beach this week! 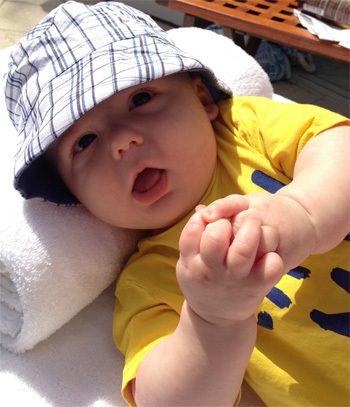 — Benjamin, Jr.
Last day by the pool. Got my sweet hat on and enjoying the day!! — Jr.
You can see more pictures of my awesome family (and me) right here.